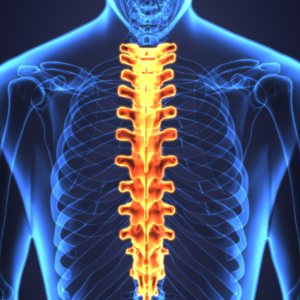 Salse Chiropractic works closely with Arcadia Radiology, Madison Radiology, and Monarch Medical to provide the best imaging and special studies available. X-Rays are a photographic image of the internal composition of something, especially a part of the body, produced by X-rays being passed through it and being absorbed to different degrees by different materials. Chiropractors will use an X-Ray as help for prognosis. An MRI is a diagnostic technique that uses magnetic fields and radio waves to produce a detailed image of the body’s soft tissue and bones. MRI’s are disc herniations, malalignment of bones, or soft tissue injuries. When treatment does not progress, additional information is needed that you can’t get from an X-ray. A nerve conduction study (NCS) is a medical diagnostic test commonly used to evaluate the function, especially the ability of electrical conduction, of the motor and sensory nerves of the human body. It stimulates specific nerves and records their ability to send the impulse to the muscle. It also helps diagnose nerve disorders, such as carpal tunnel syndrome or Guillain-Barré syndrome.